The new Kawasaki ZX-10R scored an easy five out of five; it was surely the fastest production 1000cc bike of its generation. But this ZX-10R was not all about Kawasaki’s new blistering engine and head-banging attitude, it’s controllable and handled much better than its predecessor. And despite the blistering pace it was actually easier to ride, too. Not for the faint hearted, the 2008 ZX-10R was a true superbike for the road. Owners often changed the gearing to give the bike even more of a kick and address the fact that the stock gearing was a bit too tall. You can either go down one tooth on the front sprocket or up three teeth on the rear. Sprockets from AFAM, Vortex or Renthal, with chains from either DID or EK (specifically the EK MVXZ chain with optional zero stretch technology) were popular. A speedohealer is also a good idea to make sure your speedo still reads right. 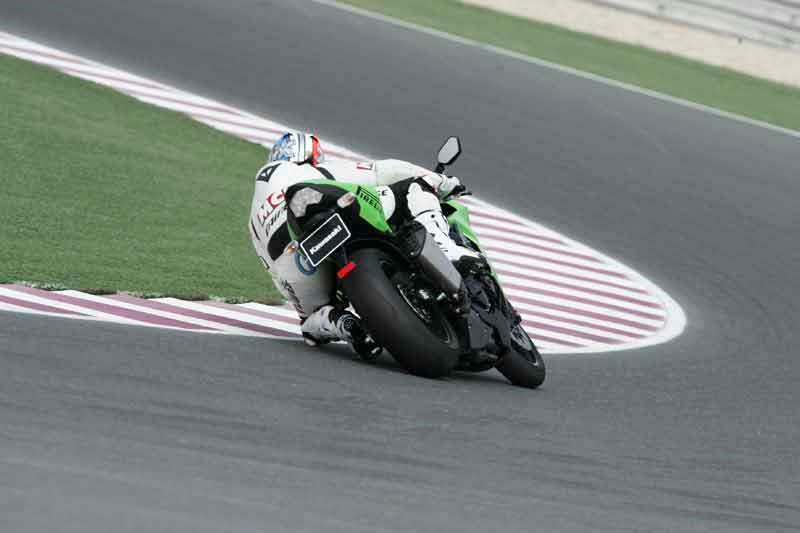 Even though the 2008 Kawasaki ZX-10R was actually heavier than the previous version, it didn’t feel it. 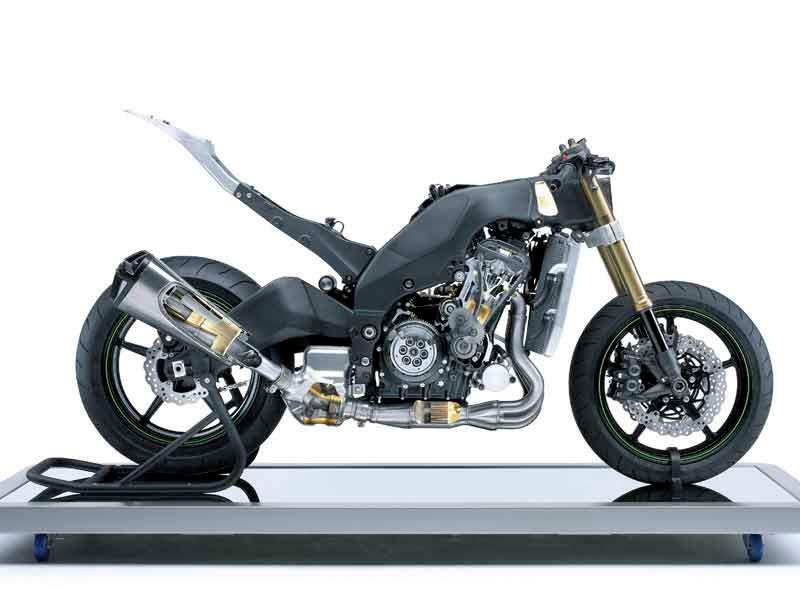 The shape of the motorcycle was much thinner which makes the bike feel lighter and more manoeuvrable. 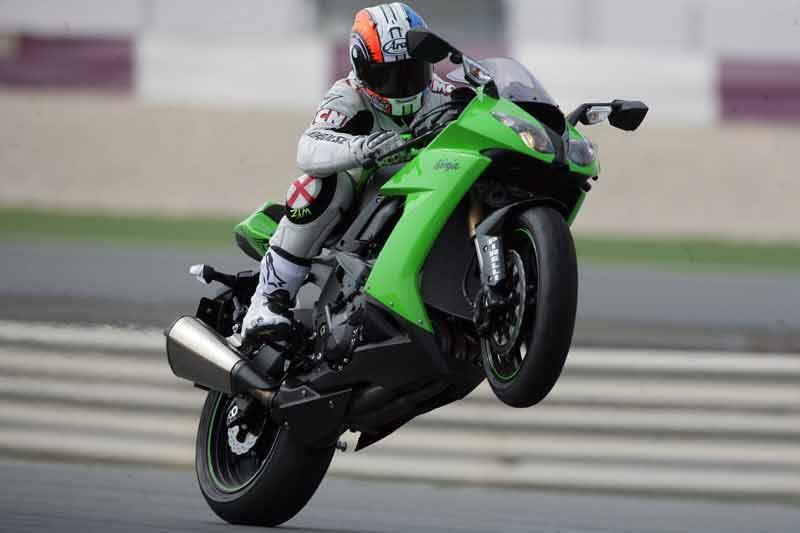 Its wheelbase was increased and the rake was stretched which adds stability, yet the ZX-10R still turns with ease. 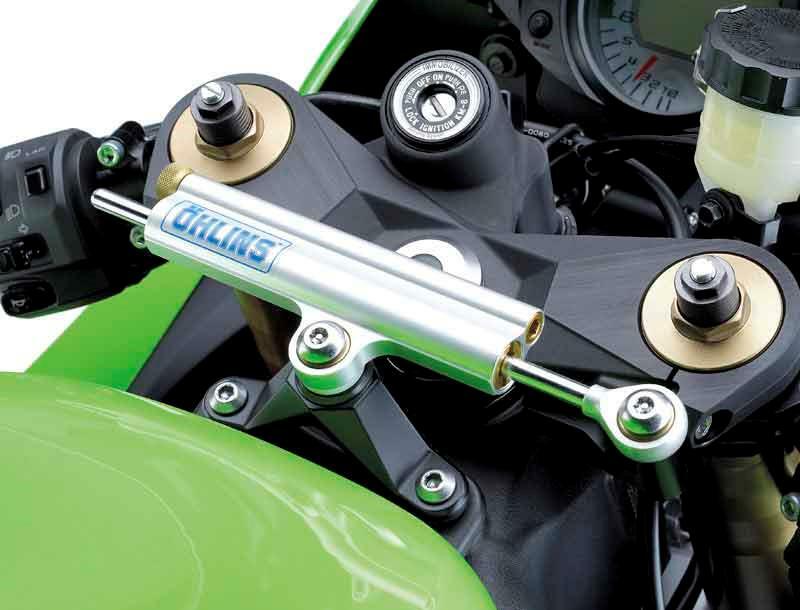 However, make sure that steering damper is turned up, or upgrade the standard Ohlins steering damper for a higher spec replacement from Ohlins themselves, Extremetech, GPR, Scotts or Hyperpro. 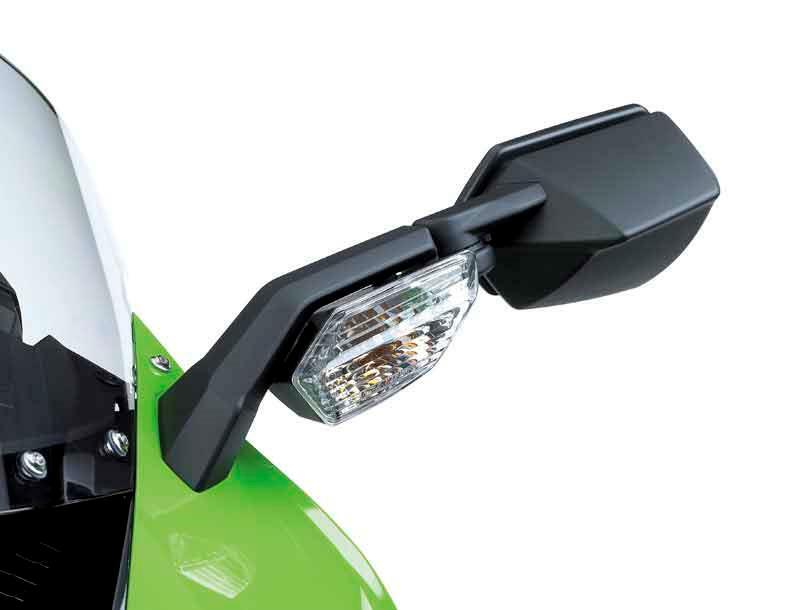 Given the speeds that the ZX-10R is capable of (on track, obviously) a lot of owners choose to fit a larger screen offering better wind protection. The screen produced by F. Fabbri is a good replacement. Pyramid also makes a double bubble screen for the ZX-10R, as do Puig and Zero Gravity. If you want torque and bottom end power then look away now. However if you want arm ripping acceleration and a 1000cc engine that seems to rev like a 600 you’ll be wanting the all-new ZX-10R. Kawasaki is quoting nearly 200bhp with ram air, more than last year’s bike which was never a slow bike. MCN put a 2008 Kawasaki ZX-10R on the dyno and it managed just over 170bhp at the rear wheel. A lot of the owners found that fitting a Power Commander was a great mod on their ZX-10R. Apparently the fuelling was off below 7000 RPM on the 2008 model and the DynoJet Power Commander III cures this. When used in conjunction with a new exhaust system (or just cans) it can also help smooth out the fueling and unleash a few extra bhp, because obviously that's what the ZX-10R needs- more power!  Kawasaki have become renowned for making bomb-proof motorbikes, and the 2008 ZX-10R falls within this category. The high performance capability of the engine means that it is difficult to stress under normal riding conditions and that helps longevity. The new Kawasaki ZX-10R was competitively priced, looked the part and was the fastest 1000cc production sportsbike of its time. Still you can always sleep with peace of mind, as build quality was a match for the Honda FireBlade. You can pick up a used 2008 Kawasaki ZX-10R for sale for a little over £5k. 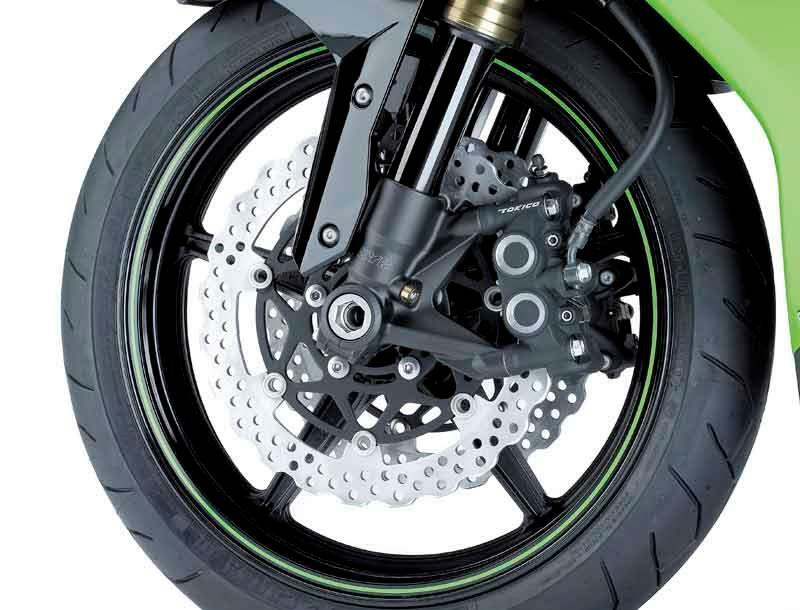 Kawasaki was the first manufacturer to fit a back torque limiter or slipper clutch, and it’s the same again for the new ZX-10R. There’s also radial brakes, petal discs, fully adjustable suspension front and rear and an Ohlins steering damper as standard. 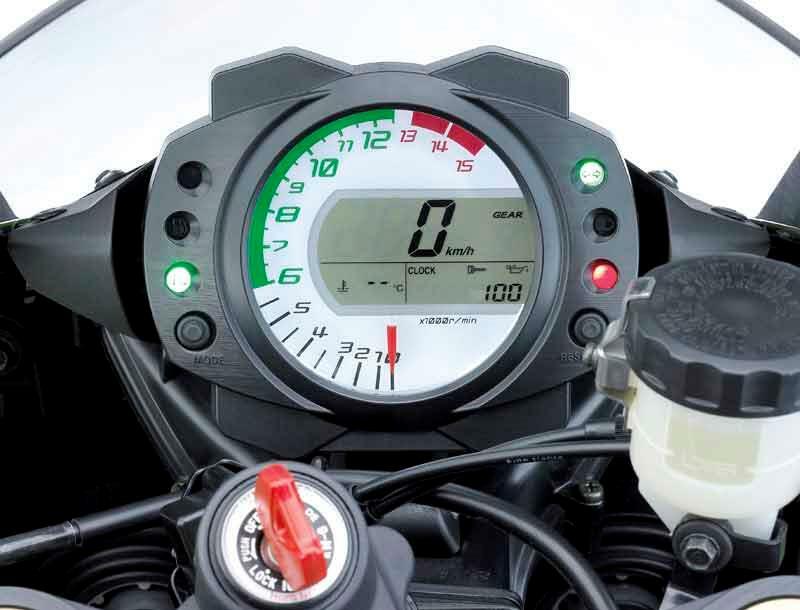 Also, the 2008 ZX-10R was the first version to have the Kawasaki Ignition Management system, which is designed to reduce wheel spin under extreme circumstances. Akrapovic products seem to be very popular amongst owners. Some have gone the full hog and fitted complete replacement systems, while others have just gone for new cans. Still, Akrapovic kit doesn't come cheap, so if you're on a tighter budget cans from Leo Vince and Sato Racing also come recommended. After all, the money you save can be put towards other worthwhile mods. Other popular modifications include upgraded grips for added comfort and rearsets for improved ground clearance, adjustability and weight saving. Rearsets from Sato Racing and Vortex were popular. Fitting crash protectors is such an obvious and neccessary mod since alot of ZX-10R's spent a fair bit of time on track. The original ZX-10R (C1H) was introduced in 2004 and was a snarling, unrelenting and quite honestly terrifying machine. it was updated to the D6F version in 2006, and then further revised in 2008 to the E8F model. 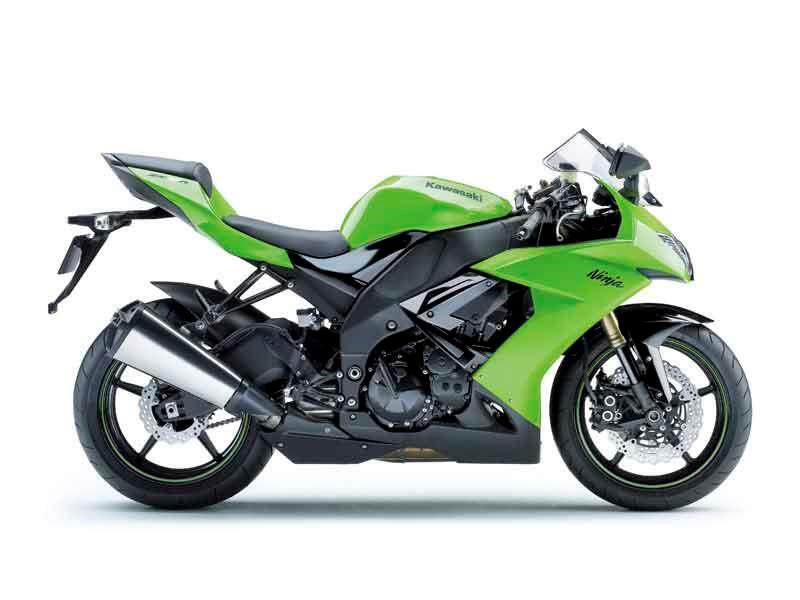 14 owners have reviewed their KAWASAKI ZX-10R (2008-2010) and rated it in a number of areas. Read what they have to say and what they like and dislike about the bike below. I am 50, live in the USA and have been riding Kawasakis since I was 16. I've had a Ninja 600 2, Ninja ZX-750RR (not street legal) and this will be my 4th ZX10R. Wicked pull after about 7000rpm. I like the steering dampener, even though it is ancient. The power is crucial I would recommend. Torque is a beast. I pull on Hayabusas. Advertised for $15,000 with Two Brothers full exhaust etc. went higher. Cash in hand, I got it for $12,000. This bike is WICKED. Its so so very fast, so light and unbelievably comfy. I cannot believe how cheap these go for in comparison to other models of the same year. This bike is still I think the lightest (or one of) 1000cc Jap bikes these is to this day. So powerful, the handling it great, the brakes work amazingly well although don't feel sharp which does give a small impression they are not strong but it just means you can grab them hard with out worry. There simply is no better bike that this for under 6k and anything for the 7k mark will be heavier and slower and over priced so unless you can afford over 8 grand you cannot get a better bike that this with an exhaust. I do recommend that you go up a couple of teeth on the rear or down one on the front but do that and boom amazing bike. Been riding for around 7 years now and this is my 8th bike. Fast bikes so far are 954 Blade, tuned FZ1, Mille, ZX6r and this ZX10r. The Blade was excellent, rare and loved the look of it, but when I wanted to move on and get a more upto date bike I looked around and for the £6k I had, this beat the bikes R1, GSXR and CBR of same yr and price. Iv covered about 2k now so thought id review it. Its ferocious when accelerating, turns in nice and feels secure and light. The brakes work fine and don't fade. Get about 170 motorway miles and worse iv seen 130. When parked up I cant stop looking at it. looks mean and the size of a proper 1000cc bike. I don't like the small looking CBR1000rr. Its comfortable to tour for the wkend as I did about 600 miles around Scotland. Im not keen on the current ZX10r so I think my next bike is a 2010 R1 when I can afford it! 08 ZX10R, Just great in town, duel carriage and motorways, handles well, motor pulls well, build quality could be better, few rusty bits on mine, even though its had an easy life, and then it would not start, 2 weeks at a dealer and cross your fingers it won’t happen again. Time to P/X. Apart from that great. I just got the 2010 zx10r two weeks ago after selling my RSV factory and Ducati 999 to try on a Jap bike. Done 800Km and I enjoyed riding this bike.Good power, good handling and nice design. Not much changes from 08 model but still a great bike in the market. Bought in April 2009 from George Whites in Swindon, Absolutely awesome bike. Never let me down. Great handling and performance. I LOVE IT. Awesome bike with a brilliant engine, done 6k miles, it's focused, but so it should be. A terrific, comfortable road bike that handles well and goes like stink!